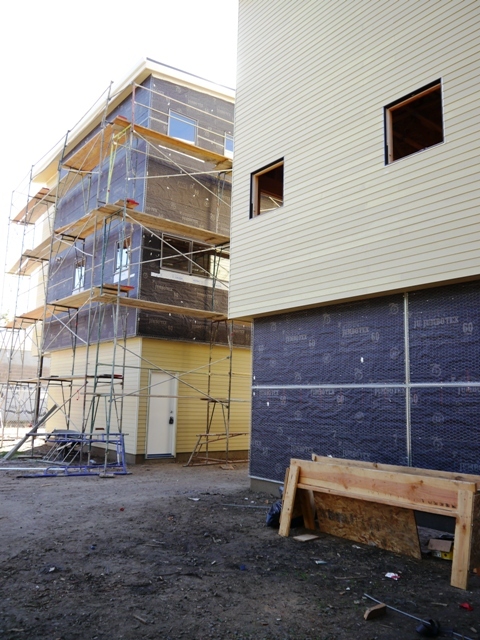 The exterior siding is up on the Solons Alley Homes, and the process of applying plaster is underway. 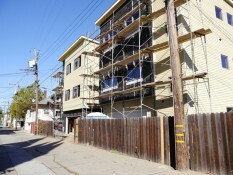 The siding is a durable and low-maintenance cement board, which will be painted in a lively color scheme. These photos show the lath work for the plaster and the scratch coat of plaster, which is the first coat. 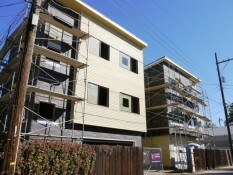 The scratch coat is textured so the second coat, or brown coat, will adhere to it. 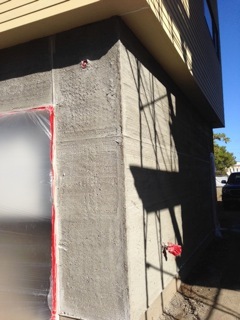 The top coat of plaster will have an add mixture for color, and it will be troweled smooth. Additional exterior finishes will be Corten and galvanized steel.